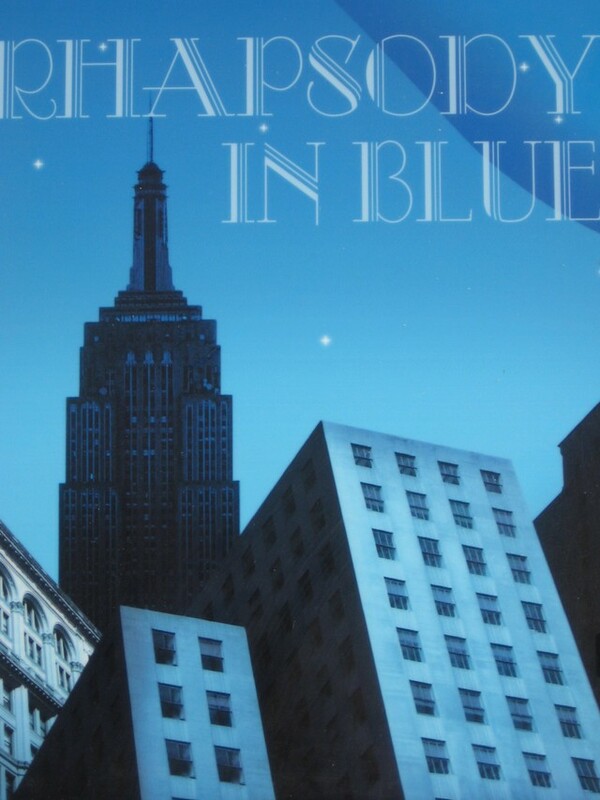 Well, I went playing on YouTube again, and this time I ran across several versions of one of my favorite orchestral pieces, George Gershwin’s quintessentially classic American composition, “Rhapsody in Blue“. Rhapsody in Blue premiered in an afternoon concert on February 12, 1924, held by Paul Whiteman and his band Palais Royal Orchestra, entitled An Experiment in Modern Music, which took place in Aeolian Hall in New York City. The version that was heard then was for a 24-piece jazz band, not for full orchestra. This was the original arrangement of Gershwin’s masterpiece. Gershwin had agreed that Ferde Grofé, Whiteman’s pianist and chief arranger, was the key figure in enabling the piece to be successful, and critics have praised the orchestral colour. Grofé confirmed in 1938 that Gershwin did not have sufficient knowledge of orchestration in 1924. After the premiere, Grofé took the score and made new orchestrations in 1926 and 1942, each time for larger orchestras. Up until 1976, when Michael Tilson Thomas recorded the original jazz band version for the very first time, the 1942 version was the arrangement usually performed and recorded. I, too, had only ever heard the big symphonic version but a few years ago, I ran across an amazing Big Band arrangement that brought a big smile to my face. And a couple of days later, I ran across the “original” jazz band version, which I found I like very, very much. The complete piece is 16 minutes long, so if you don’t have time, don’t feel that you have to listen to all of them; you might want to sample a bit of each one and come back to them later when you have more time. I think you will probably find that, like me, you end up enjoying all of them on their own merits. Here is the “standard” version – the version most people are used to hearing – the recording Leonard Bernstein made with the Columbia Symphony Orchestra in 1959. I hope you enjoyed this little musical interlude as much as I did! P.S. Here’s a video of a VERY young Andrew Litton (c.1980, 21 years old) playing “Rhapsody” live in Moscow, along with 2 curtain calls (“I’ve Got Rhythm” and “Prelude No. 2”), as well as an interesting article about Litton’s love of Gershwin’s music. This entry was posted in Classical, Contemporary, I Love America, Just Because, Music. Bookmark the permalink. Hey! Can I use the picture at the top for a poster of a dance routine choreographed to Rhapsody in Blues?